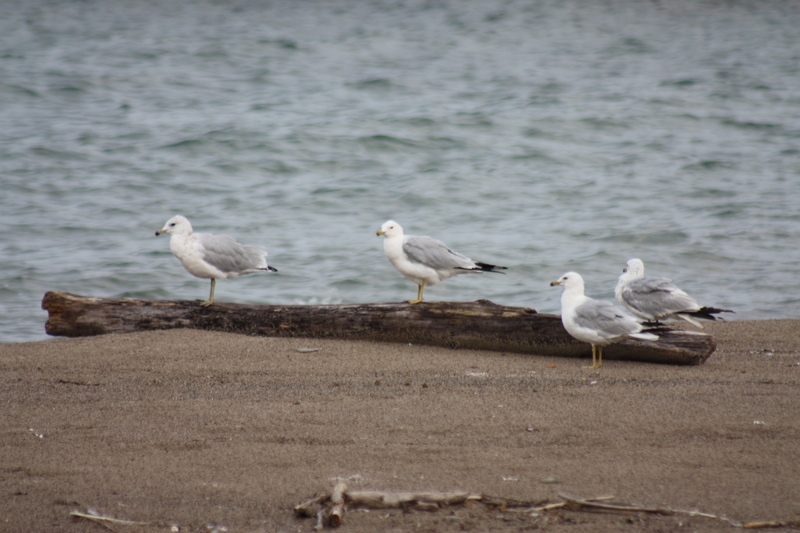 A quartet of ring-billed gulls gathered together along the shores of Lake Erie. Presque Isle State Park, Erie, Pennsylvania. I suspect my introverted nature and desire for solitude are traits I share with many who enjoy hiking and the outdoors. Time alone for prayer, reflection, or simply to get away and recharge our batteries is a good thing. As I wrote about in a previous blog post, there are plenty of examples in Christ’s own earthly ministry where he and his disciples took time to get away. There is much more to these verses, but I have two points that I want to highlight here. First, God says “Let us make man in our image, after our likeness.” Here God refers to himself using the plural pronouns us and our, not the singular, me and my. 1 God is clearly relational. Second, he created us male and female in his image. We, too, are relational beings. From the beginning, we were created with a deep need for a relationship with God, as well as relationships with other people. Unfortunately we live in a fallen world where all of our relationships are complicated by sin and selfishness. 1 While an explanation and defense of the central Christian doctrine of the Trinity is beyond the scope of a short devotional, this verse does clearly point to the relational nature of God. If you want to explore the doctrine of the Trinity further, I recommend this link to the Monergism.com website where you will find numerous links to many excellent writings on the doctrine of the Trinity. This entry was posted in God is Revealed... and tagged Bible, Christ, Christian fellowship, Christianity, Creation, Erie Pennsylvania, Genesis 1, God, Hebrews 10, Jesus, Lake Erie, Presque Isle State Park, Relationships, Ring-billed gull, Trinity by Todd D. Nystrom. Bookmark the permalink.